Original and functional. 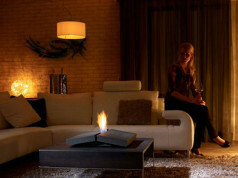 Akowood Original bioethanol fireplace is charming combination of elegance and good taste, due to it we could give space the subtly cosy mood. 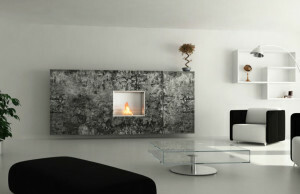 Bio fireplaces are the modern solutions, that warm up our home and at the same time are great decoration. 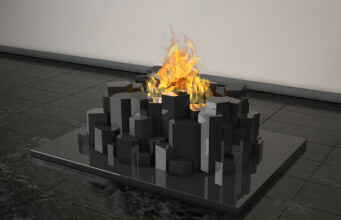 They do not need any chimney ventillation system, we could freely arrange our living space. They could be both – middle point and addition to original interior style. 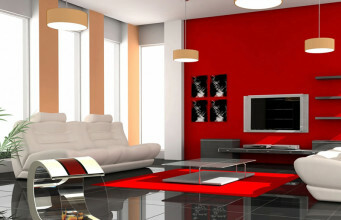 Model Original by Akowood is intended to be installed on a wall or floor. Due to it’s geometric, inconspicuous shape, it matches to almost every interior, on condition that these are not interior in baroque, splendor or kitschy style. However, Original looks great in spacious and elegance arrangements with minimalistic furniture and simple, raw decorations. 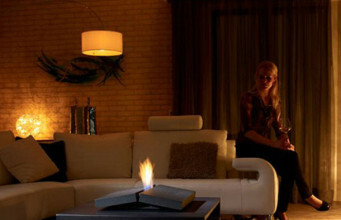 Original bioethanol brings into an interior sophisticated and untrivial character. Built in wall, e.g. 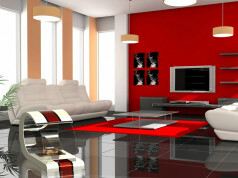 ceramic or concrete, let enliven its arrangement and save living space. Due to simple and charming shape, it looks great near to paintings or hanging shelves, however it looks also interesting on a wall without decorations. What is more, we could place e.g. a vase or a favourite sculpture on Original bio fireplace. 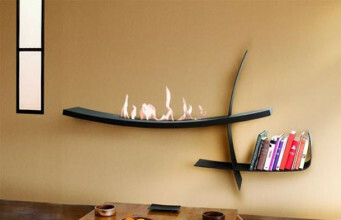 Wall-mounted bioethanol fireplaces should be installed on walls with suitable strength and fireproof parametres. It is not recommended to installed it on surfaces covered with wallpaper, made of particle board or flammable materials. Original bio fireplace by brand Akowood looks great on walls covered with decorative plaster, concrete or made of decorative mass, e.g. in an industrial style. 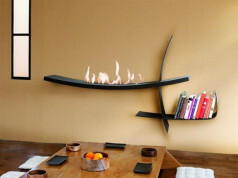 Akowood Original has burner made of stainless steel, heat with ecological fuel. 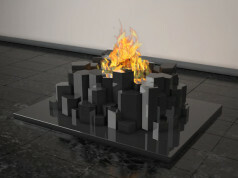 Fireproof glass is a guarantee of safe use and let get mysterious effect of reflecting flames. 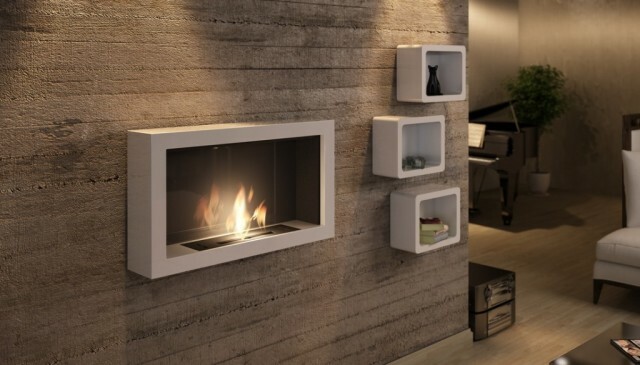 Due to subdued, minimalistic shape of bioethanol fireplace, we could create cosy atmosphere at our place, avoiding an effect of excessive splendor.